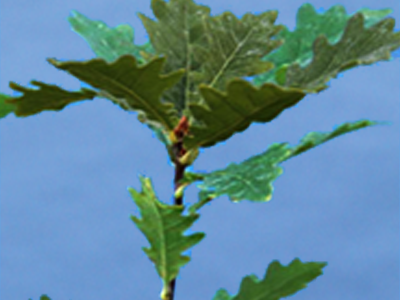 Tudor Lodge Plant Nurseries Cell Grown Sessile Oak Trees. Can provide a dense Sessile Oak hedge. Leaves are around 10cm long and 8cm wide. Catkin flowers in May to June with acorns maturing in the Autumn.